Depending on your unique situation we offer several levels of service. 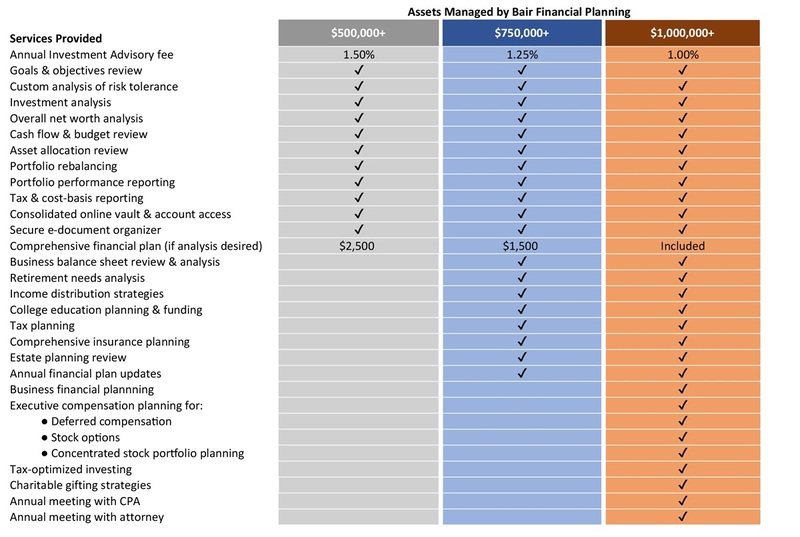 Below is a general outline of our solutions and their associated fees, contingent on the amount of investment assets we manage for you and your family. 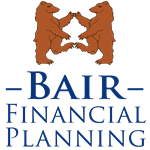 Be sure to review our Bair Financial Planning 5 Step Process to get a clearer picture on how we work with you and what is included in a financial plan. Please contact us for a complimentary phone consultation to discover which services are most aligned with the pursuit of your financial goals.